Is your organisation a Federal or State Government Department or Entity? Other departments (such as regulatory, standards, procurement & supply). If this sensitive content fell into the wrong hands, it would be embarrassing, costly or a serious threat to security. Secure Collaboration Tools – but found these new developments only restricted user access to content, not how they could use it; they also didn’t secure mobile devices and you were worried about embracing unproven technologies. 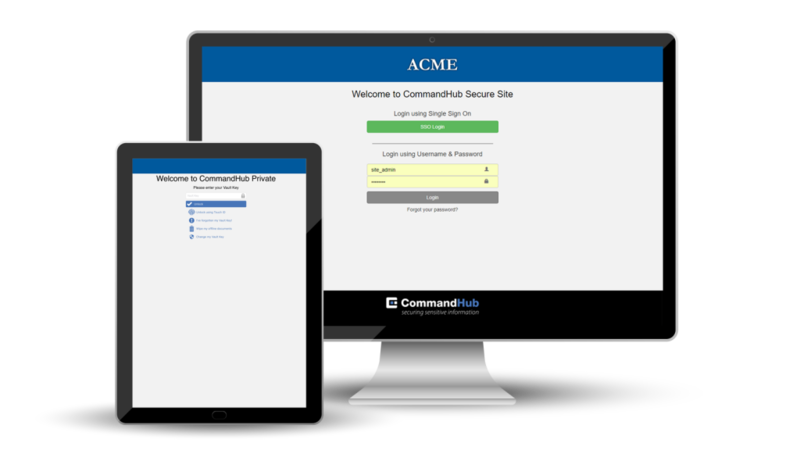 CommandHub was designed on the Military Principle of multiple layered servers. 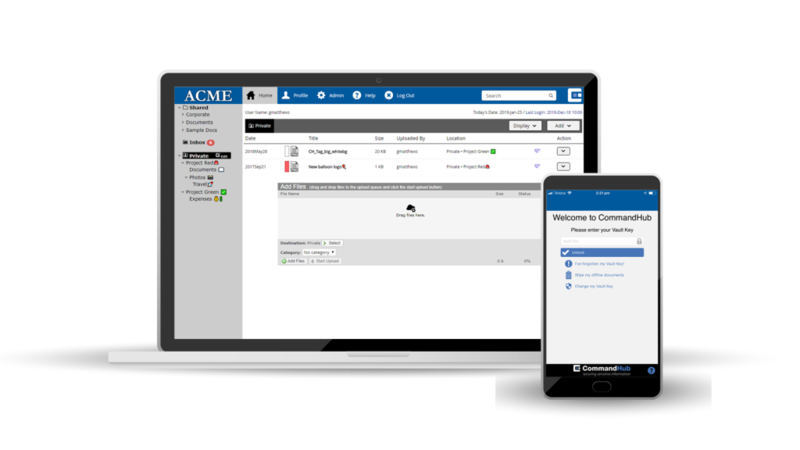 Build from the ground up for secure collaboration, security was not an afterthought for CommandHub. In addition, the hosting environment has been certified up to PROTECTED status by the ASD (Australian Signals Directorate). CommandHub goes well beyond providing ultra-security when sensitive content is at rest; it also protects when it’s in transit and in use. Patented HubVault technology provides a multi-encrypted file transfer tunnel, so users don’t have to use vulnerable browsers or risk retaining material in a cache. HubVault also secures the information on mobile devices, using further encryption and a non-recoverable key. This renders the device virtually ‘uncrackable’ if mislaid. 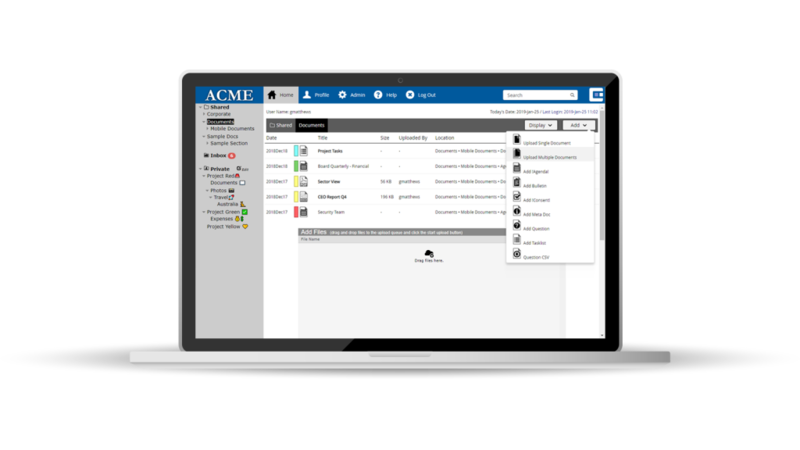 Having file-level or user-level access control is one thing; ensuring that only those who ‘need to know’ can access each file is quite another. CommandHub applies the Intelligence Community principle of ‘compartmentation’ to do precisely this. With CommandHub, you create multiple levels of compartments and set access and use controls for each level or compartment. This means that even senior people with high-level privileges, will not gain access to material if they don’t need it for their roles. This gives you highly granular control which is easy to set up and administer. CommandHub lets you control how content is used, not just how it is accessed. This ensures that all collaborators, internal and external, follow your rules for use of your content. You can set controls for who can see, edit or save a file, who may move it to where, how approvals and rejections apply, the exact sequence of these steps as well as version control, watermarking, file-locking and more. 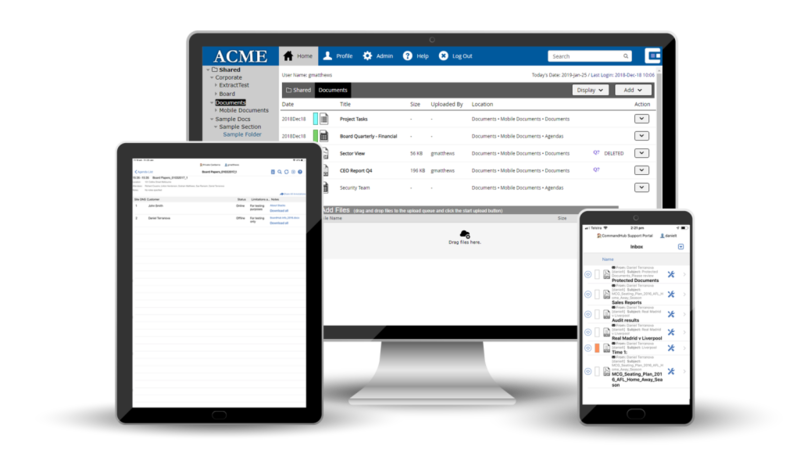 Unlike most collaboration tools, CommandHub wasn’t designed for set up and use by IT teams; it’s designed for business users. 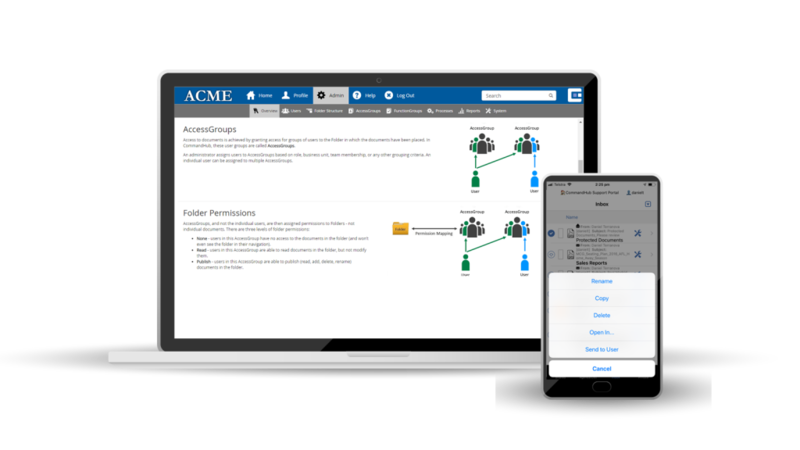 With little training, your administrators will able to set up file structures and controls, and your users can work with the platform without IT help. When projects and or policies vary, administrators can make the changes themselves. Many collaboration tools are inflexible, so you have to change the way you work in order to use them. CommandHub has over 500 configuration settings which can be simply turned on or off, so you can control rules for files, access, use, formats and settings at any level. This flexibility makes it possible to protect your sensitive information without impeding how your users work. CommandHub has been protecting sensitive content in the most demanding situations for over ten years. Apart from Government, these include Defence Contracting, Finance, Justice and Telecommunications, and as well as Executive Committees elsewhere. Ask us about our case studies. 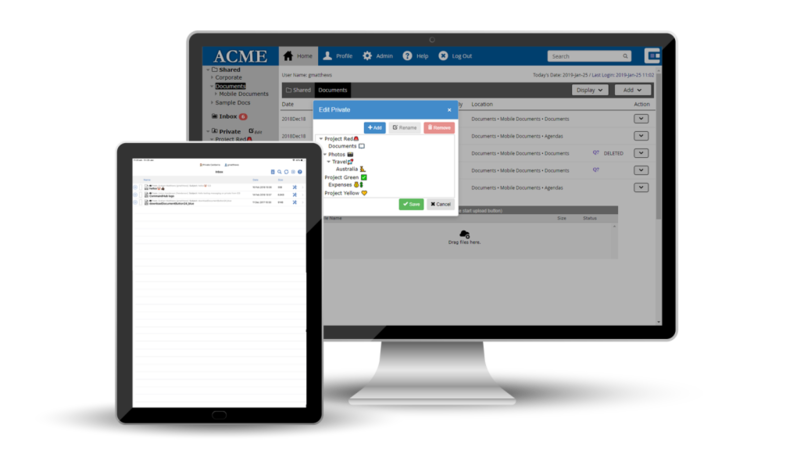 Contact us to discuss how CommandHub could ensure secure sensitive collaborations in your organisation.